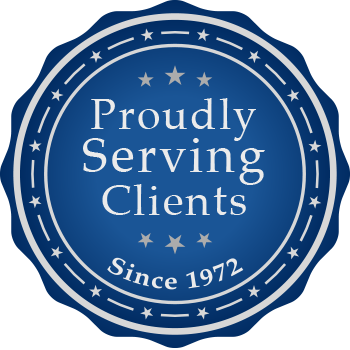 On Thursday, April 4, 2019, our tax and business attorney, Frank J. Macciocca, conducted a one-hour Continuing Legal Education (CLE) session at the Lancaster Bar Association. It was received enthusiastically. 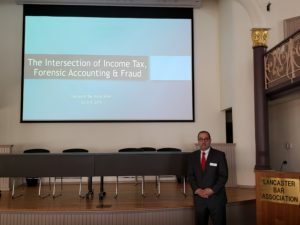 The topic was The Intersection of Income Tax, Forensic Accounting, and Fraud Examination. The primary objective was to convey to the audience the congruence of these three disciplines. From this, new pathways of awareness may appear by taking a road less traveled when arranging and defending tax and business activities assuming , in advance, the specter of governmental scrutiny. Earlier tax planning and tax return positions may end up in tax controversy before the Internal Revenue Service and various state and local tax authorities. If this occurs, the insights that flow from the analyses of both a forensic accountant and a fraud examiner may lead to previously undiscovered positions of leverage. This may result in more favorable rulings, resolved disputes, or even prevailing on the merits.